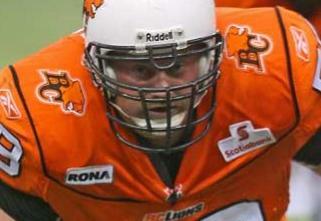 The BC Lions announced Tuesday that the team has reached an agreement with former offensive lineman Kelly Bates to be an offensive assistant coach in 2011. Bates also officially announced his retirement from the CFL after a 10 year career in which he appeared in 115 games for the Lions. The official club release is here, and Lowell Ullrich has more on the hiring on his Fifth Quarter blog. Bates will study under offensive line coach Dan Dorazio and the signing continues a trend where the Lions are bringing in former players to their coaching ranks. Bates joins Barron Miles and Mark Washington as former player on the Lions coaching staff. Congratulations to Kelly on a great career and his new role with the Lions.